We are very pleased with the evaluation process and gained valuable insight into both the strengths and weaknesses of our competitive cheerleading program. Our primary goal as we move into the season is to build competitive teams that give every child an opportunity to excel. To help achieve this goal, we hold a mandatory fundamental skills clinic for all competition cheerleaders. As detailed in your Information Package, all cheerleaders accepting positions on our competition teams are required to attend the fundamental skills clinic to be held on June 4th from 10am-1pm at Evolution Training Center. 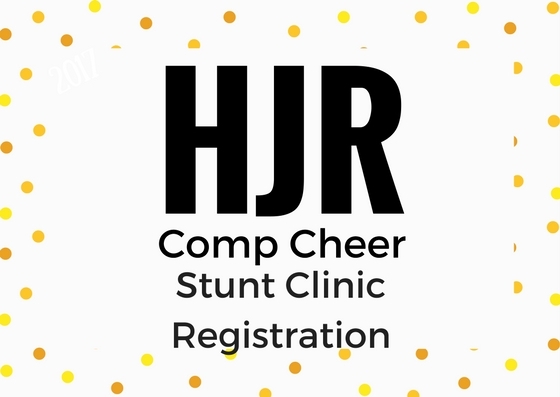 This clinic is being tailored to develop advanced stunting skills to be used in our routines as well as address the specific weaknesses identified in our evaluation process.